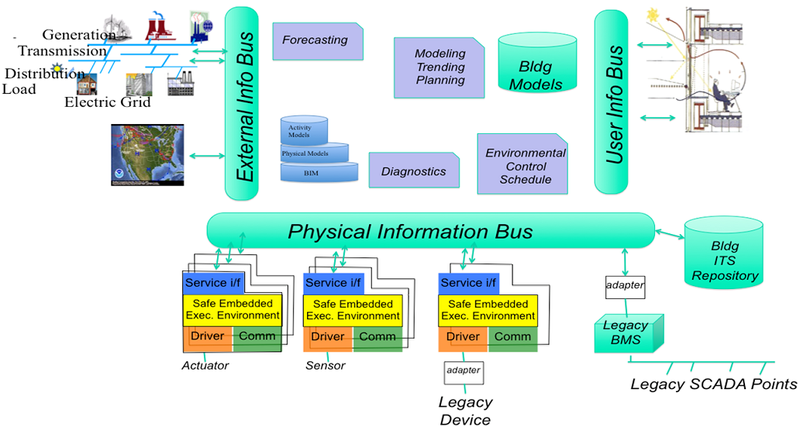 The mission of this thrust is to develop foundations and methodologies to design and demonstrate a multi-scale, embedded, intelligent, distributed system that consists of wireless and wired network sensors, actuators, and controllers. It executes a hierarchical control plan in real-time and in cooperation with building energy distribution grids and the external utility grid. Also, the system adapts to system evaluations and local variations, controlling and optimizing resources. Provide critical functionality at all times, despite damages caused by accidental faults, errors, and degradations or malicious intrusions.